Do we underestimate the power of the mind, the power of positive thought? Is anything possible, without limitation, if you give your mind’s eye a vision and allow it to believe you have already achieved it? Okay, it will take much more than an hour or so in the lotus position every other day telling yourself you are a brain surgeon before you get to pick up a scalpel, but it all starts with a vision, right? My countdown for this year’s two expeditions to Nepal is well underway and I am undertaking plenty of physical activity to prepare and rest assured the body is feeling it sometimes. But just as important as my physical preparation is that I am mentally prepared. And to take my mind off the 20-kilogram pack strapped to my back when I am out walking at silly o’clock I fill it with visions of standing atop those mountain peaks. I picture myself telephoning my family, telling them I have summited and returned to the base-camp safely and sharing different aspects of the climb with them whilst sipping a warm mug of Sherpa tea. Those conversations with my mind, with Janet and TomO, go right down to the detail of what is said! 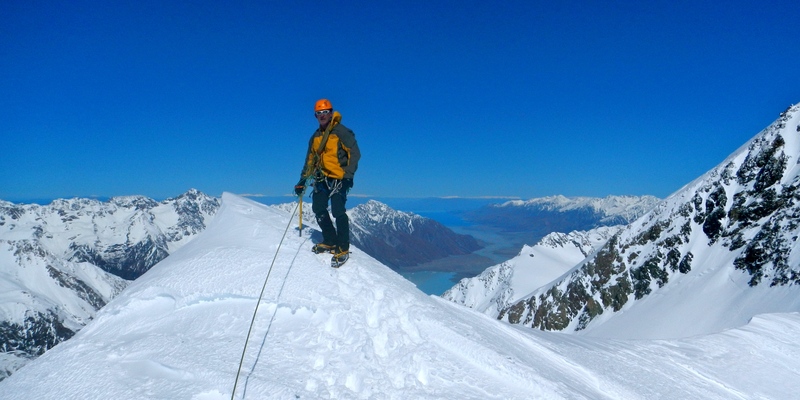 Oh don’t worry, I’ve been practicing many other aspects of mountaineering these past few years, after all there are things to be learnt and practised – but that just reinforces what the mind knows it can do, right? There are people who believe in positive affirmation, some who are not sure, and others with whom no amount of discussion will convince them it does. But let me share my own personal insight of why I know it does. I was enthralled, I wanted a job like that so in my mind’s eye I play-acted the people in the article, not that I actually had a clue what they really did, after all it was a short article, so I just made it up as I went – I was a natural. Perhaps it was a bit unusual for someone of my age to be getting into this esoteric stuff, but that is what daydreamers do and I am a daydreamer. And I’m sure many will agree that a very fine line exists between dreams and reality confirmed by the days you wake up thinking, the dream I had was real…. Shortly I will have spent 40-years with this institution. Yes, 40-years, it wasn’t a typing error and for most of that time I have been managing and trading currencies in the bank’s money market operation. My vision of how it worked all those years ago is quite different to the sophistication of today’s global financial market, but that is just detail. I didn’t have to get the detail right all I had to do was to chant that mantra long and loud, to have a vision, to daydream and play act my part. I have been researching the impact that high altitude climbing will have on my body, what I can expect, what I can do to assist my body’s ability to cope. And importantly, to be able to recognise the onset of Acute Mountain Sickness in its more serious forms. 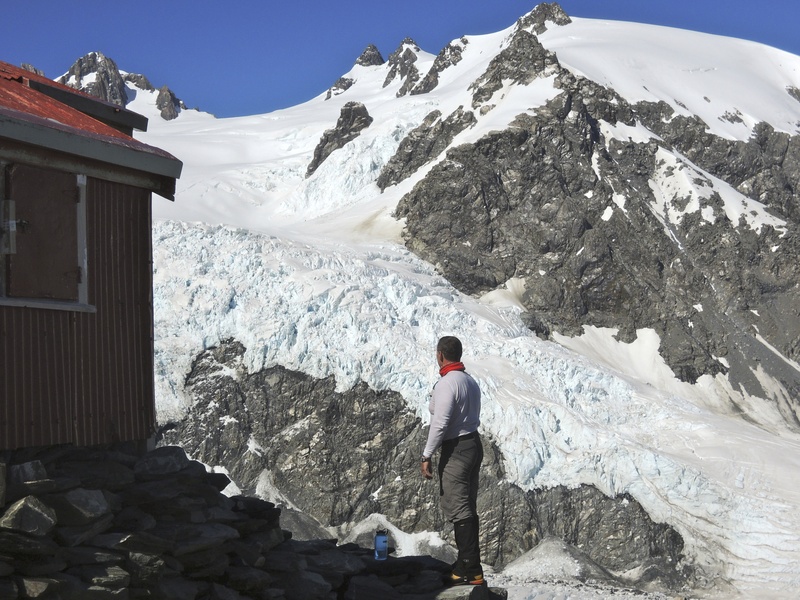 Acute Mountain Sickness, AMS as it is often referred to, is the effect the declining number of molecules of oxygen in the atmosphere has on our body as we ascend in altitude. It can range from a mild illness, to the more severe life-threatening forms of the illness, such as High Altitude Pulmonary Edema (HAPE), and High Altitude Cerebral Edema (HACE). The latter two conditions require immediate attention and descent from altitude otherwise death is the most likely outcome. I’m not intending to go into a great discussion on either, nor am I qualified to do so, but as part of my journey “To Climb a Mountain” I want to gain a better understanding of both conditions. High altitude is defined as 5,000 to 11,500 feet, very high altitude 11,500 to 18,000, and extreme altitude as 18,000 feet and above. At extreme altitudes physiologic function will outstrip acclimatisation eventually. My reading has taken me across a wide variety of topics, but the one that caught my attention was the connection between muscle and the requirement to fuel our muscles with oxygen when under exertion. Over the years I have trained as a power-lifter for strength purposes and I have achieved results I am happy with. As a consequence I have grown muscularly and currently weigh-in around the 95 kilogram mark. This has given me a good power-for-weight ratio and has enhanced my speed on the kayak over the short to mid sprint distances. Power-lifting has helped me develop strong legs, especially my quads through squatting, and dead-lifting. Will this muscle help, or hinder me on the mountain as I trudge up the side of an 8,000 metre peak? When exercising, the body, or more specifically the contracting muscles have an increased need for oxygen and this is usually achieved by a higher blood flow to these muscles. And therein lies the dilemma as I see it. There is not a lot that you can do to prepare for the effect of AMS, some people will adapt and perform better at altitude than others and this is hard to predict from one individual to another. What I can do is decrease my muscle mass, and whilst that will mean a decrease in overall strength I can try and maintain the power for weight ratio balance. 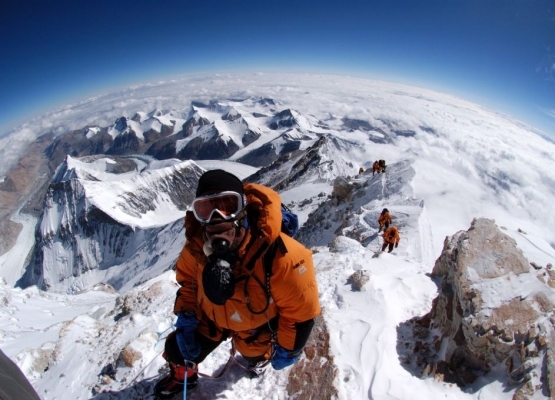 The climbs in Nepal will be done without the aid of supplemental oxygen. I won’t be changing my training routine greatly, I will maintain some weight training, rowing and kayaking, and importantly, a daily walk of around 10-kilometres with a 25-kilogram backpack at silly o’clock in the morning (that is 4:00am). The best way to control weight change, either gaining, or losing, is via your diet and that starts in the kitchen. The call to climb amongst the highest mountains in the world has been echoing in me for a long time. I had expected to be in Nepal in 2013 and 2014 after spending 2012 and the early part of 2013 training in New Zealand with the world’s best high altitude experts. But, somehow life has the propensity to throw a curved ball every so often, and I’ve had a couple to catch over the past 12-months! Whilst New Zealand has some of the world’s most magnificent mountain peaks, it doesn’t have the altitude of the Himalayas’. My ability to adapt to the altitude is an unknown, but it will be put to the test on two expeditions to Nepal in 2015. The first will be in April to climb Mera Peak, which stands at 6,476 metres, 21,246 feet, and in September I will attempt Himlung, a peak that stands at 7,162 metres, 23,497 feet. Both of these climbs will be done without the use of supplemental oxygen, but there will be a rigorous acclimitisation process to ensure the best chance of success. And hopefully these climbs will set-me up for an ascent of Cho Oyu, an 8,000 metre peak bordering Tibet and Nepal. I am confident of my ability to adapt; certainly I don’t expect expedition life will be a problem given my remote outback experience and the hardship that often brings. The first ascent of Mera Peak was made on 20 May 1953, using what has now become the standard route from Mera La and no subsequent ascent occurred until 1975. We will just miss the anniversary of the first climb in 1953 by a couple of days. We will have two camps on the mountain, camp one at Mera La and camp two, our high camp, at 5,800 metres. Our summit day will typically start before dawn and we are hopeful to summit in 4-5 hours. Some fix rope will be used near the summit where it becomes very steep. As 2014 draws to a close, grab your climbing harness and a rope, or perhaps if you prefer, a coffee or tea and a nice comfy couch. I have always been encouraged by these words penned by Helen Keller. Living life to the fullest, taking risks, knowing your limitations, these are questions I frequently ponder. Janet thinks the same way, and is the anchor that questions the balance between risk and reward, whether you have prepared as best you could, and are you ready? My mountaineering goals are as high as the largest mountains. I want to explore further the joy and satisfaction, the freedom and beauty that mountains bring into my life. But I have been cognisant of the impact it has on our son, TomO, negative and positive. Next year I will travel to Nepal in both the pre and post monsoon periods climbing on two different expeditions, first and foremost to enjoy the experience. But the expeditions will also help prepare me for an attempt on Cho Oyu, the world’s 6th highest mountain peak, standing at 8,200 metres. “And what about Mt Everest” TomO has asked. Prior to climbing in New Zealand’s Southern Alps he wrote me a note to say that one day he might be standing on top of Mt Everest with me. Explaining I am on a journey that may take me there, but it isn’t my real focus just at the moment. In fact, the journey isn’t about climbing Mt Everest either, but hopefully it will form part of the dream, the journey, to experience high altitude climbing, to see what I am capable of. I went on to tell him that having dreams and aspirations define who we are and is part of the mosaic that is life itself. Perhaps it is no more than a child’s feeling of wanting to follow in the footsteps of those close to them, to emulate them. But it made me smile to think that he is developing a line of thought that gives him the confidence to pursue his dreams, whatever they are. I asked him was that truly a goal he would like to pursue and what motivated him? “How great it would be to experience that feeling of the mountains you have described to me and doing it together makes it special”. Perhaps the enormity of the task is lost on him presently and we place no expectations on him whatsoever, but simply want to help him understand it is important to develop and set one’s own expectations of themselves. But it puts to the test our resolve to support him in any endeavour he wants to undertake. I asked Janet what she thought of “her boys” heading off to Mt Everest together? Her reply was simple and uncomplicated. “It scares me” she said. For a simple bloke who can’t even tie his shoe laces properly the prospect of climbing some of the world’s highest mountain peaks would seem just a little ambitious. At least that would be the conventional thinking. And let’s face it, Castle Hill, which prominently stands out as a feature of Townsville, the wonderful tropical North Queensland town I grew up in, is merely a speed hump when compared to the Himalayan Mountains. Plans are now well under way for two expeditions I will be undertaking to Nepal in 2015, my place on the expeditions confirmed, and plane tickets are booked. 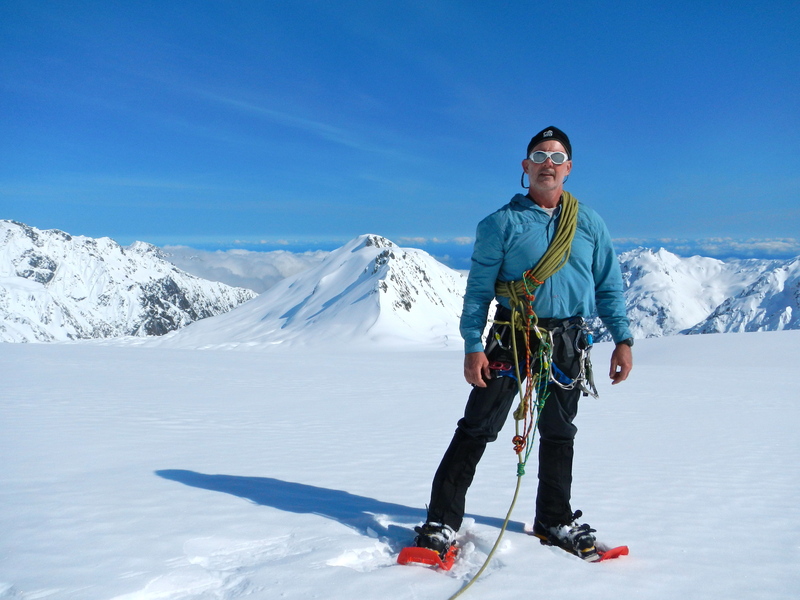 The first expedition will be in April when I head to Kathmandu to climb Mera Peak. Standing at 6,500 metres, Mera will provide a fantastic view of Cho Oyu and Mount Everest from its summit. The trip will introduce me to the culturally stimulating world of Nepal and will assist in refining my technical skills at altitude in preparation for three other peaks I will climb in the post-monsoon period in November. The peaks, Island Peak, Lobuche East, and Pokalde will be more technical and another opportunity to enjoy the people, culture and landscapes of the Himalayan region of Nepal. And training for high altitude mountaineering is something I look forward to and will require lots of cardio-vascular work, and nothing beats putting on a 20-kilogram pack and walking in the hills for a few hours. 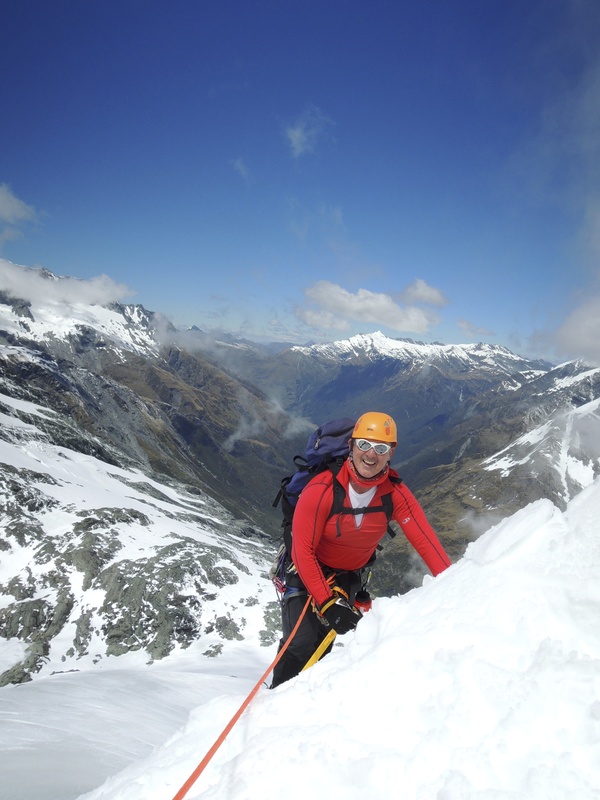 I’m excited to be back on track once again, so be sure to join me on the climbs – one step at a time, as that is what it will take as I progress towards an expedition to climb Cho Oyu, the world’s 6th highest mountain peak standing at well over 8,000 metres. That is set down for the 2016. Strewth, I’m as excited as a rooster in a chook pen! “But there are men for whom the unattainable has a special attraction. Usually they are not experts: their ambitions and fantasies are strong enough to brush aside the doubts which more cautious men might have.” Walt Unsworth. Walt must have had me in mind when he penned that! This has been my goal for sometime and you might be left wondering when is Baz going to get around to doing it…and I must say I’m a bit behind schedule after the injuries and personal setbacks of the past twelve months – but I’m getting it back on track, slowly, but surely! 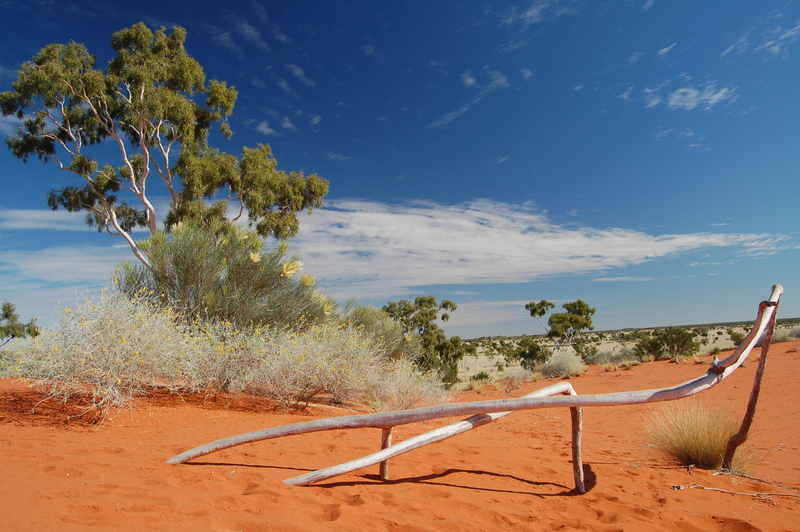 In the meantime I’ll be travelling in Australia’s wonderful outback in June and July, including a crossing of Australia’s Great Victoria Desert and a visit to the site of the Atomic Bomb testing from the 1950s– so be sure to stay in touch!